2. Every bucket includes 3 modes a: fast flashing, slow flashing, and steady on. 3. 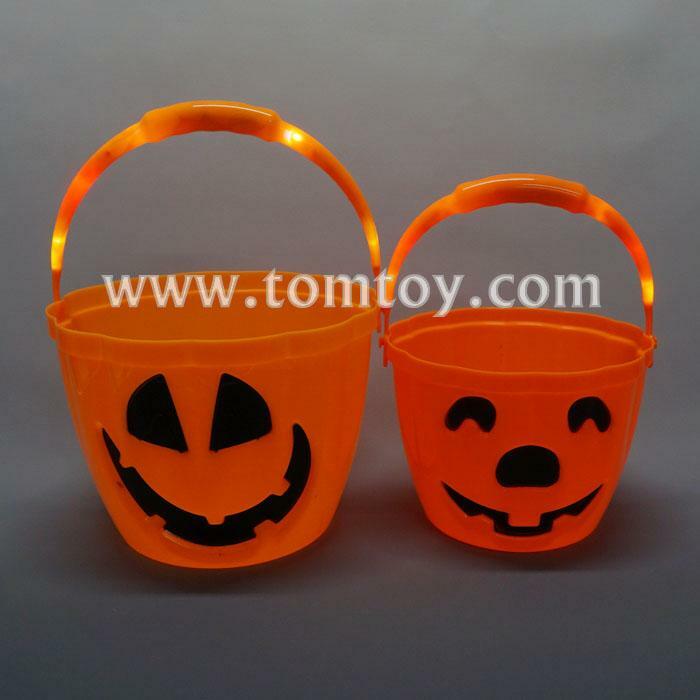 Perfect for Halloween trick or treating to hold and collect candy for kids. 4. Fun for all Ghost and Goblins! 5. Battery is included and installed.